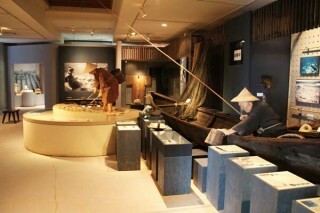 Onna Village is a tourist destination, and accordingly has many attractions, such as the Ryukyu Mura that showcases life in the old Okinawa during the Ryukyu Kingdom era. Summer is right around the corner, and this year Okinawa is forecast to welcome more visitors from all over Asia than ever before, something in excess of 0.8 million. 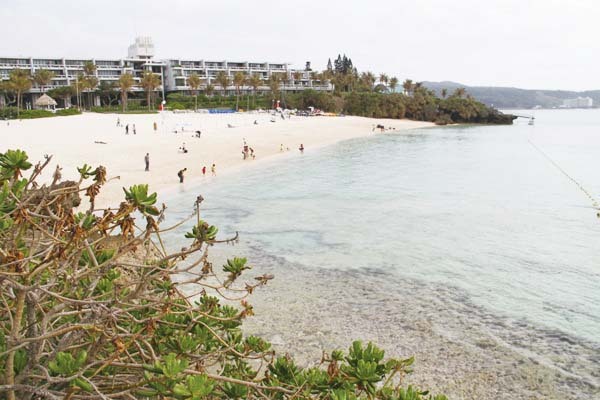 Many of the tourists who come to Okinawa to unwind and enjoy the slow life choose their stay in the quiet, calm, close-to-the beach and slow-life Onna Village. 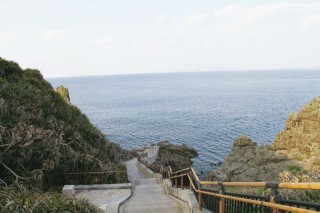 One of the most famous spots in Onna is Manzamo, a “field for 10,000 people to sit.” The area including the surrounding sea is designated Okinawa Kaigan Quasi-National Park. 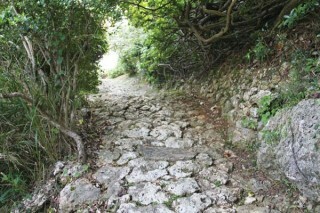 Onna Village is located on the west coast of central Okinawa, and occupies a long, narrow stretch of the coastal land. The village stretches 27.4 kilometers from north to south but is only 4.2 kilometers from east to west. 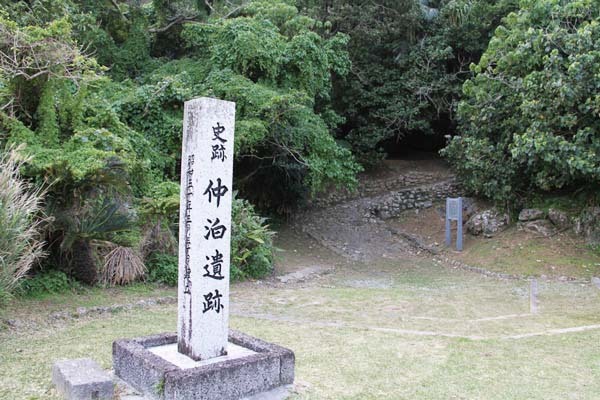 It’s located on the rugged hills that run from the north to central Okinawa, with Mount Onna being the highest point in the village. 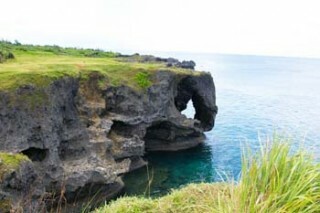 Most residents of the village are living on the few flatter areas and on the coast. The coastal areas of Onna Village were declared a part of the Okinawa Kaigan Quasi-National Park in 1972 after the reversion of Okinawa to Japan. It is also one of Japan’s leading resort areas. Major resort hotels dot the East China Sea coast along Highway 58. They count as their customers former U.S. President Bill Clinton and Russian President Vladimir Putin who, among other world leaders, visited Okinawa for the 2000 Kyushu-Okinawa G-8 Summit. A stone-paved road in Nakadomari dates back for more than 1,500 years. 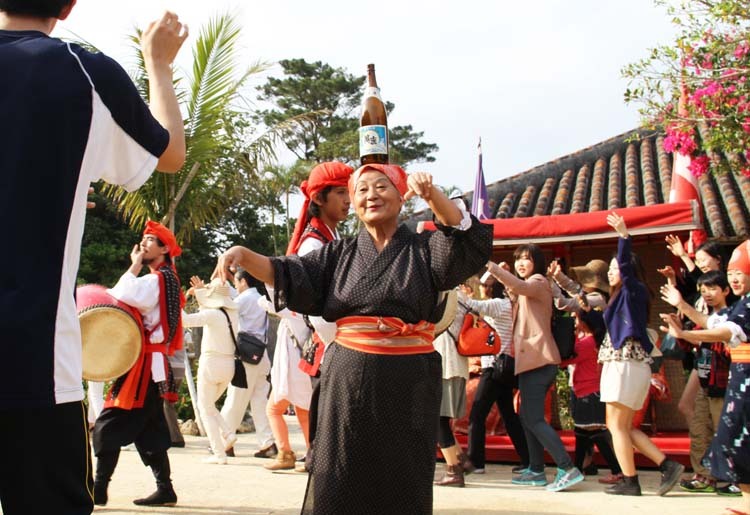 Onna Village has always been known as a resort, but it has added another dimension to its fame since it welcomed the Okinawa Institute of Science and Technology Graduate University. 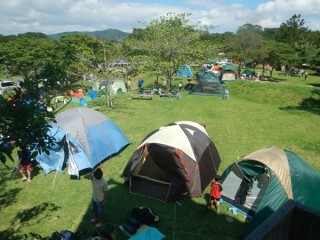 The village continues to grow and in recent years has been adding some major hotels on the list. Those who seek a more local feeling can drive through Onna on Highway 58, instead of the new bypass road. Along the road there are quite a few good restaurants. A good starting point would be Onna Michi-no Eki close to the southern edge of the village, which is the busiest road station on the island, or a farmers’ market further north by Onna Village Office where local producers offer fresh vegetables, fruit, fish and other products. 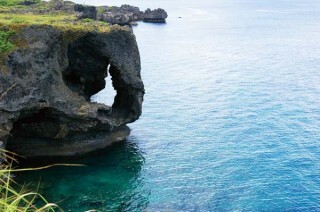 Cape Maeda is well-known to all divers on Okinawa, and may even be considered as a local Mecca for diving enthusiasts. Hotel Moon Beach is located in the Maekaneku district of Onna Village, and has received the Trip Advisor Certificate of Excellence in 2012 and 2013. The hotel has guest rooms, restaurants, various marine and field sports to experience, indoor swimming pool, Japanese style bath house, gum, and even an open-air chapel with a view of East China Sea. 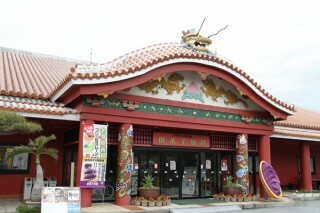 It’s located about 60-minute drive from Naha Airport.